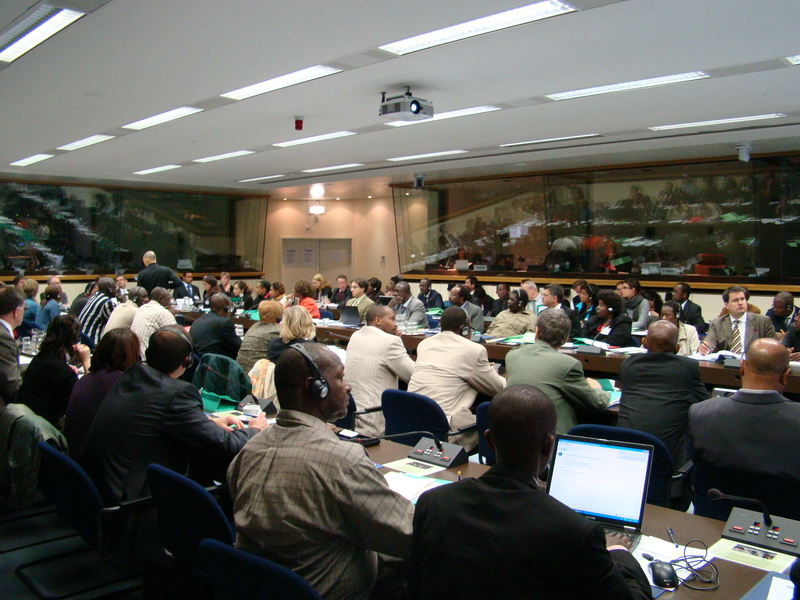 The 11th Brussels Development Briefing took place on 11th May 2009 on “Meeting Food Safety Standards: Implications for ACP agricultural exports” (Centre Borschette, European Commission). This Briefing reviewed the product standards and technical regulations of importance to promoting economic growth and protecting the health and safety of consumers and the challenges posed by rising private and public SPS standards for ACP suppliers. Exchanges has also be held on the lessons we can draw from capacity-building programmes as to better adjust to the needs of the ACP private and public sectors and the need to involve ACP countries in international standard-setting and negotiations over standards and regulations. Registration, lunch and presentations from various organisations (COLEACP/PIP, European Commission, DG Health Consumers, CDE, CTA) on their capacity building programmes, specific modalities of eligibility and implementation. This session reviewed product standards and technical regulations of importance for the agri-food sector. The proliferation of standards and regulations may sometimes be used for protectionist purposes and the demands for ever higher standards might raise the hurdles facing producers and exporters in ACP countries. How difficult are the challenges posed by rising private and public SPS standards for ACP suppliers? What is the relative significance of these challenges, compared with other factors affecting competitiveness? What are the nature, magnitude and significance of costs and benefits associated with compliance? Panel 2 – Learning from experience: what are the challenges ahead on standard-setting and compliance for ACP countries? ACP countries face a number of problems which should be taken into account in the agenda in international negotiations over standards and regulations. Many countries are unable to participate effectively in international standard-setting and need technical and financial assistance in implementing the requirements of the agreements and support in compliance and certification. What are the lessons we can draw from trade-related SPS capacity-building programmes as to better meet the needs of the ACP countries?